For people who stutter, stuttering can be like a tennis match. Tennis can be gruelling, mentally draining as well as rewarding (when you play well!). 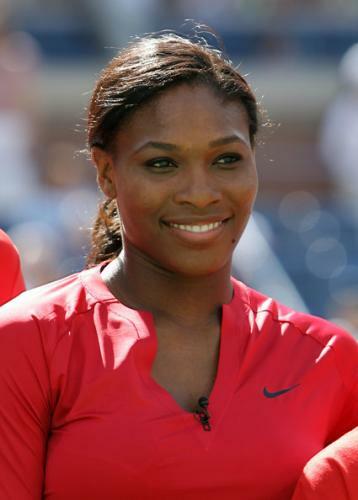 A few days ago, Serena Williams won the WTA year-end championship for the fifth time and ended the year as the number one ranked female tennis player for the 97th consecutive week. On the men’s side, Roger Federer won the Swiss Indoors for the sixth time on Sunday to move within striking distance of the number one ranking (currently held by Novak Djokovic). Aside from being great champions, what do they two player have in common? They have a coach who brings out the best in them based on their individual strengths and weaknesses. When working with people who stutter, speech-language pathologists (SLPs) need to recognise that each client has individual characteristics that calls for an individualised approach. Like a tennis coach, SLPs need a range of teaching methods and techniques to enhance the communication skills of the client they work with. All of these players found a way to be the best, irrespective of vastly different styles and/or personalities. Much like in tennis, it is the speech-language pathologist’s responsibility to recognise that everyone is different. By doing so, not only does the person who stutters benefits immensely, but also the profession itself where we’re able to recognise and acknowledge the different approaches all striving to help people who stutter become the best communicator he/she can be. All the ones who stutter are handsome or beautiful ! !who woukd notice a stutter ,not me ,but I didn,t know it hurt to talk ! !God Bless You all !! Another great post, Voon! Even though I know little about tennis, this analogy makes a lot of sense! Thank you for the blog on the stuttering and disability and to relate the tennish match and stuttering with all of us , it's really motivated blog for the stutter. help people who stutter and need to be patient, kind, understanding with them. We need to show we care too.